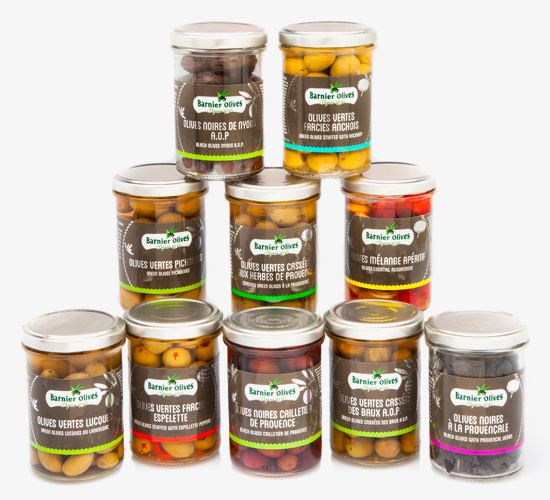 This range of marinated olives in Jars, is a wide range with different recipes, all based on traditional and ancestral association of spices, always respecting the balance of flavours. 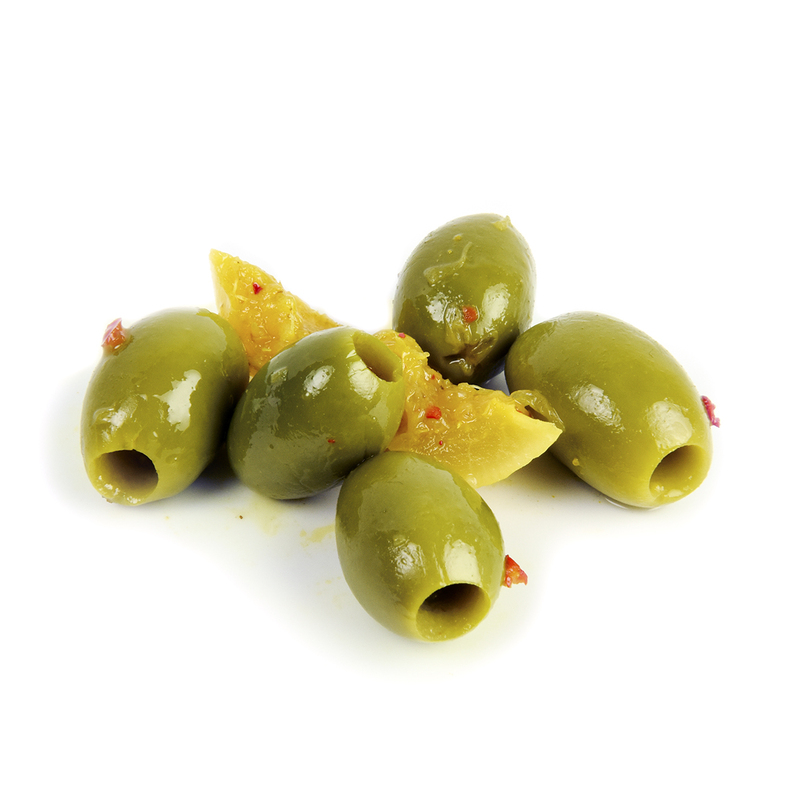 Colourful and innovative, this Grab n’ O range is a classic olive line with a cutting-edge design. 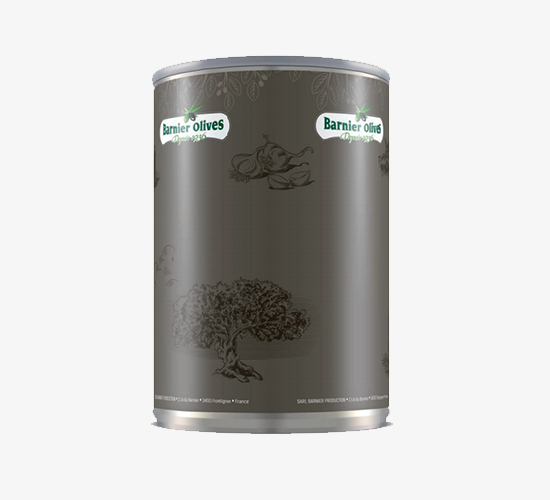 You will discover the crisp taste of lightly salted Barnier Olives. This special range will seduce you also by the convenience of its packaging. The first gourmet olives “to go”! 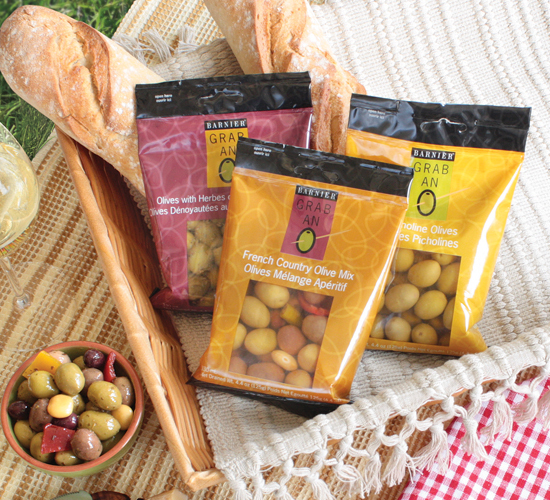 Our marinated olive range is a specialty with a French touch and an original presentation. 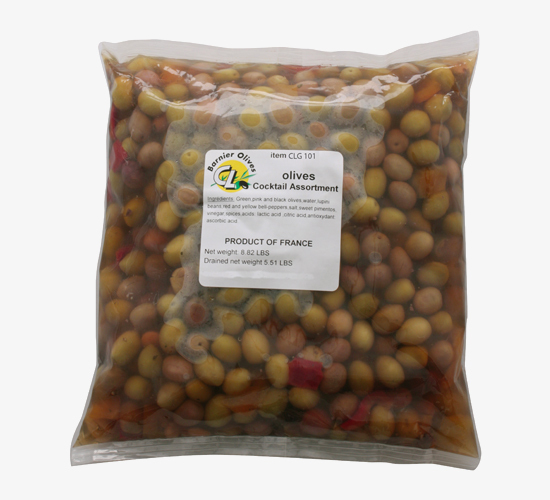 Enjoy BARNIER SELECTION OLIVES with cocktails before a fine meal, in salads & as hors d’oeuvres. 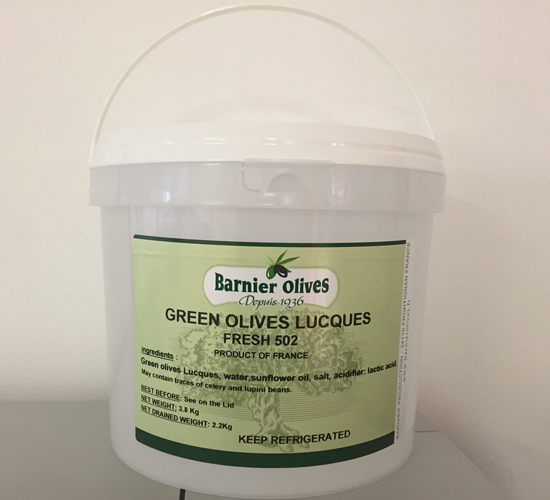 At the image of the Mediterranean Provence, our Range of FRESH OLIVES in PAILS will perfume your « apéritifs » & culinary preparations. 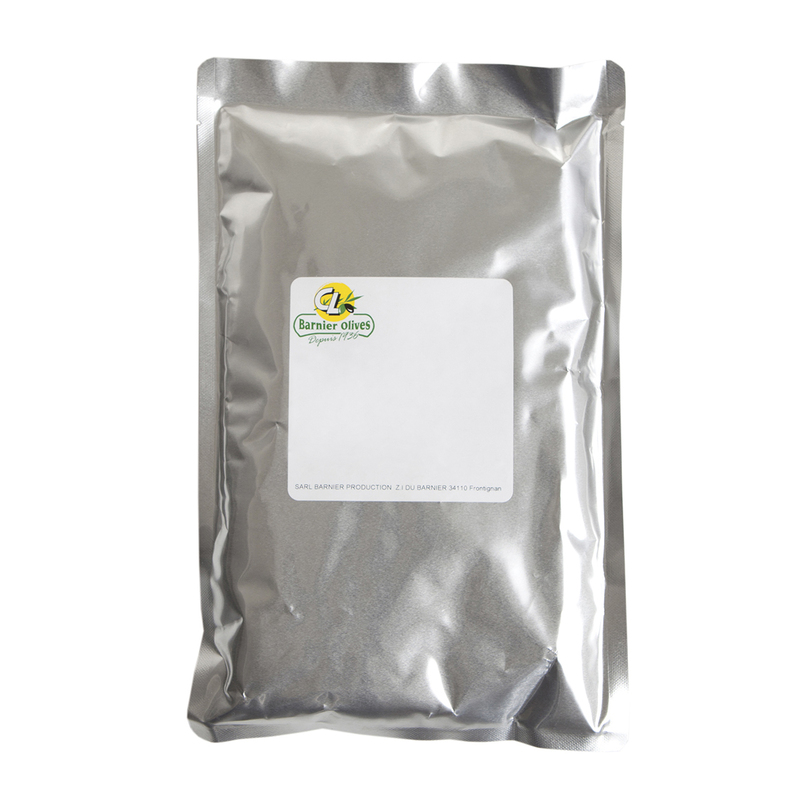 This range of Pouches, 2 years shelflife is also perfect for Foodservice distribution. 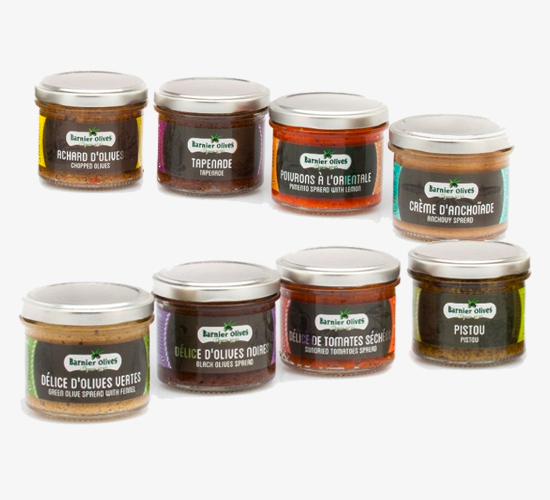 At the image of the Mediterranean Provence, our Range of SPREADS will perfume your « apéritifs » & culinary preparations.